WAMS Vinyl Radio - Oregon! Oregon! In 1958, the Oregon Centennial Commission, under the sponsorship of Blitz Weinhard Brewing Company, hired radio personality Stan Freberg to create a custom musical to celebrate Oregon's one hundredth birthday. The result was "Oregon! Oregon! A Centennial Fable in Three Acts." It was premiered on radio during the Oregon Centennial in 1959, and was distributed to radio stations as a twelve inch vinyl LP album. Side One featured two versions of an introduction by Freberg, (billed as "Stan Freberg, Matinee Idol"), with the second version including a few words from William W. Wessinger, the president of Blitz Weinhard Co. This was followed by the show itself, which runs for 21 minutes. Side Two includes separate individual versions of each of the featured songs, including several variations on the title piece, "Oregon! Oregon!" 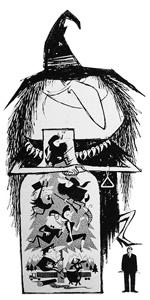 The plot, (attributed to "M. Goose") loosely follows the tale of Rumplstitskin, who is personified in this tale as a Witch, who "bottles" states. When the state of Oregon is un-corked, the Witch tells the two explorers, (named "Harry & David" in an obvious commercial nod to the Medford, Oregon mail order gift fruit outfit), that it must go back in the bottle after a hundred years. When the Centennial rolls around, the witch offers a reprieve if someone can come up with her real name. A California Fruit Inspector happens to over hear her, and saves the day. The Witch, (aka "Miss Columbia River Salmon 1822"), stomps her feet so hard, she falls through the dock at the Centennial party and plunges into Coos Bay. The music and lyrics were written by Freberg, with some assistance from Howard Gossage. The music was arranged and conducted by Billy May and his 21 piece big band. Jud Conlon's Rhythmaires provided the harmonized vocals. The cast included a number of voice actors from radio and animation, including Helen Kleeb who played the witch, (a Jay Ward / "Rocky & Bullwinkle" alum), Byron Kane and Lou Merrill, (who provided the voice for "Sleepy" in Disney's "Snow White and the Seven Dwarfs"). 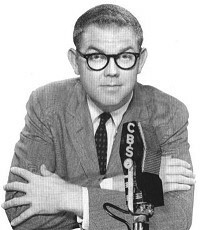 Several of the team went on to work with Freberg in his "Stan Freberg Presents the United States of America" album. Indeed, much of May's musical arrangement and phrasing for Oregon! Oregon! provides hints of this future project. Virginian Frebergologist Heff Munson cross-indexed the performers to see who was who in USA. "The Witch," Helen Kleeb reappears as Betsy Ross. "Fruit Inspector" Byron Kane returns as Thomas Jefferson, The Truck Driver (John Frank) is also the Man From American Bell & Bell. And the Centennial Partier, Colleen Collins, returns (along with her Tallulah impression) as Queen Isabella. Kleeb's Betsy Ross, reprises one of her lines from "Oregon! Oregon!" when she replies to George Washington as he awaits the new flag: "Besides, a hundred years from now, what the heck difference will it make?" Kleeb also has the distinction of having graduated from my alma mater, Silverton High School. She was also a very active TV and screen actor as well, probably best known as one of the boot-legging Baldwin Sisters on The Waltons. She also had roles in quite a few TV series and films including "Seven Days in May," "The Manchurian Candidate" and many others. Fifty years later, when Oregon celebrated its Sesquicentennial, an updated version was preparred by Freberg and the Portland band Pink Martini, as part of a signature series of performances throughout the state. Pink Martini toured the state and performed four regional performances in the northern, southern and central areas of Oregon in August and September 2009. Portland Journalist Marge Boulé expertly reprised Helen Kleeb's role as the Witch. Her distinctive "Kleeb Cackle" was spot-on. The audio here was digitized from the author's own copy of Oregon! Oregon! Obtained by his parents in 1959. As ardent Freberg fans, the Frederick family was steeped in Stan from an early age, and we literally grew up memorizing his radio gags and records (including this one). This copy seems to have been created for radio use, as many of the individual tracks do not transition into one another, but rather require an operator to lift the tone arm and move the stylus between the separate tracks. It is amazing to me that this piece Freberg material, aside from a couple of cuts from the Rhino anthology, ("Tip of the Freberg"), remains pretty much unknown. Bottle - Courtesy Blitz Weinhard Co.